In order to build your business you will need to promote SFI and Tripleclicks to people. Remember that you promote SFI to people who are looking to start a home business and you promote Tripleclicks to people who are just looking for bargains. In your SFI affiliate center you have access to a number of resources to promote your business in the form of affiliate websites, banners, text ads and so on. In this lesson I will show you how to use these resources. Log into your affiliate center and select “Gateway List” from the “Reference” menu. This page contains a list of affiliate websites we can use to promote various sections of SFI and Tripleclicks. The screenshot below shows a list of affiliate websites (also known as gateways) that we can use. Each gateway website has a screenshot and an affiliate link. The affiliate link contains your personal SFI ID and looks something like this. On your gateway page the “12345678” will be replaced with your SFI ID. SFI makes life easier by embedding all affiliate links with your SFI ID so you can simply copy and paste them wherever you are promoting them. Notice the word “FREE” at the end of the link. This tells us what website we are promoting. In this case it is the “FREE” gateway website which you will find on the top of your gateways page. Look at the other websites on the gateway page and you will see they all include your SFI ID. Marketing use tracking tools to see where their visitors are coming from. SFI includes a useful tool which allows you to use a number to identify where a click on your gateway page has come from. For example you could use the number 12 for traffic exchanges and the number 20 for blogs. For more information on how you can use keycode tracking click here. You can check the results on the Hit Tracking page here . SFI provides many methods of promoting along with the resources to promote with. To see a list of what SFI has to offer select “INDEX” from the “Marketing” menu. You should be looking at the page below. The first two links on the page teaches various methods for promoting SFI and Tripleclicks. In the description you get a link to the index of marketing aids for both websites. Let’s see the marketing aids for generating Tripleclicks (TC) sales, click here to visit the following page. This page links to all the resources you can use to promote Tripleclicks. Notice that your main Tripleclicks gateway website is first on the page and it has your SFI ID embedded in it? Now you can copy it and post it wherever you want to promote it. 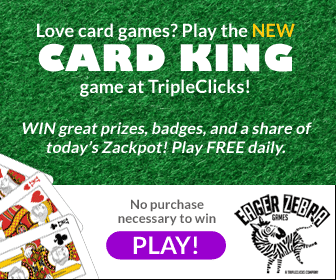 Electronic cards are great for promoting Tripleclicks through email. The cards are specially designed to promote both SFI and Tripleclicks and contain professional sales messages, which is useful for people who are not very good salespersons. You simply select the card you want, add a short message to the person you are emailing and then send it. Your Tripleclicks gateway website URL will be added to the message so the recepient can click on it to visit your website. X-Cards are professionally designed business cards that you can carry around with you. They are useful for offline promotion such as passing onto an interested friend or family member, leaving in the doctor’s waiting room or on a bus or train. Just simply write your SFI ID on it which is needed for people to sign up for their free membership. Once someone becomes a member they will be entitled to a free listing on Tripleclicks which would normally cost them one TCredit. Note that you are responsible for this free promotion so SFI will automatically deduct the TCredit from you instead. You can purchase X-Cards from Tripleclicks in packs of 50, 100, 250, 500, and 1000. If you are going to buy them regularly then I recommend you add them to your standing order. Text ads are short sales messages that can promote Tripleclicks in many ways. One idea would be to use them as an email signature like this. There are many advertising resources that allow you to place text ads such as Text Ad Exchanges which you can find by typing “text ad exchanges” into a search engine. You can even add them on your blog or get a banner printed for your car. You can even use them on social networking websites but you will have to be careful as some of them consider it spamming. Try using a business one such as Bizoppers. Banners are smaller images with a design on them and come in various sizes with the most used ones being 468×60. If you have a website or blog you can display a banner on it by copying the HTML code from the banner page and inserting it into your blog. You can also add them to banner exchanges such as the popular Bucket of Banners or in your favorite traffic exchanges. Note you will have to separate the banner URLs from the HTML code to do this. Highlighting and copying this HTML code into your blog is easy enough but banner and traffic exchanges prefer you to submit two different URLS. One is known as the “Image URL” which is the actual banner itself and the other is known as the “Target URL” which is the actual gateway URL. If you wanted to add this banner to an exchange that asks for separate URLS then you would add these. These are the main resources you would use to promote your Tripleclicks website but if you want more then the Referral Aids page contains more ideas such as splash pages which are images you can add to your own website and use HTML code to point them to your main Tripleclicks website. There are also flyers which you can print out and post through doors or ask your local shopkeeper to keep a pile on his or her counter for customers to take. You can even get signs to stick on your car. There is a similar page which provides a list of resources to promote the SFI business opportunity which you can find here. The extra resource on this page is sample phone scripts that you can use if you feel confident on the phone enough to speak to new team members. You now have all the resources you need to promote both SFI and Tripleclicks. On this page you will see other methods of promotion you can use in the form of Gift Cards which new members can redeem $12 worth of items from Tripleclicks and the Pricebenders auction where people can win items. There is also the ECA opportunity where vendors can set up their own online store on Tripleclicks and sell their products. Now you have the resources you will need to know how to use them. To promote Tripleclicks and SFI you can visit the Methods for Generating TC Sales page and the Methods for Sponsoring SFI Affiliates page.